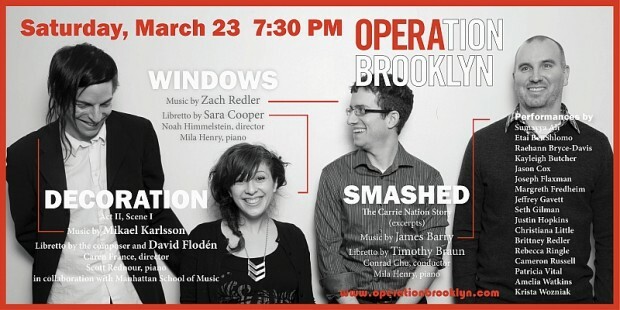 Saturday March 23rd, Opera on Tap will offer up a preview of SMASHED as part of the next OPERAtion Brooklyn project, which will include excerpts from three new works. The performance will be at South Oxford Space (138 South Oxford Street, Brooklyn, NY) at 7:30pm. Get tickets here! More information can be found at www.operationbrooklyn.com.